In Ephesians 5:19-20, Paul encourages us to speak to one another in Psalms, hymns, and spiritual songs. Both the Old and New Testaments have recorded the lyrics of what were actual songs sung by Israel, the early church, and even the angels and saints in heaven. Most of these powerful worship songs declare praise and glory to Jesus, our Messiah, King, and Lord. We can only imagine what the melodies sounded like in their varied settings; the temple courts, following a great battle, in the fields of harvest, at a house church love feast, echoing through the catacombs or reverberating off the walls of some dark dank prison. As we celebrate Jesus’ birth, this message contains a selection of some some of these oldies but goodies, none worse for wear, all as rich as they day they were penned. 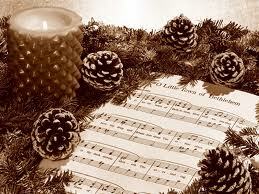 May the Lord bless you as you listen to A Christmas Canticle Medley.